The Ateret Cohanim Association (Amuta) together with American Friends of Ateret Cohanim / Jerusalem Chai took upon themselves to build and develop the Jewish community within the walls of the Old City and its environment. The Amuta was officially founded by Mati Dan in 1982 and shortly thereafter the establishment of American Friends of Ateret Cohanim, a recognized 501 c(3) charity in 1984. Following in the footsteps of the Ramban (Rabbi Moshe Ben Nachman) and the early days of the Zionist movement, the residents of the Old City dedicate their lives to renewing Jewish life in the Jerusalem that was forecably taken away after the 1948 War of Independence. The Ateret Cohanim organizations continue to strengthen Jewish roots, build Jewish life and develop the Jewish Yishuv, in and around the Old City. 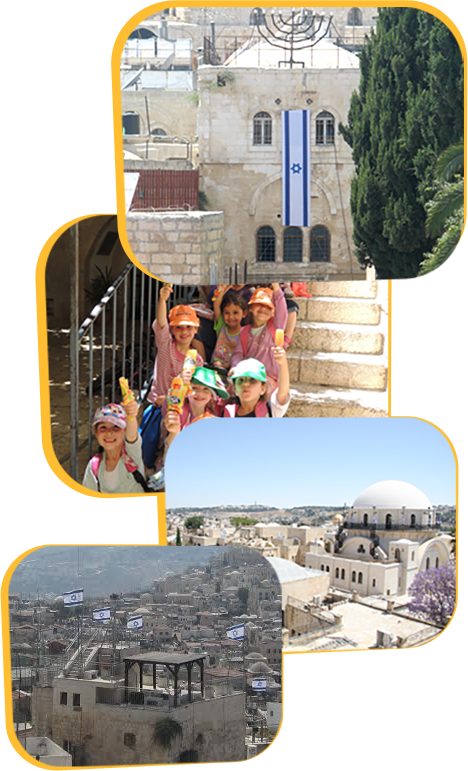 The brave and resillient pioneers living throughout the Old City and the surrounding neighborhoods receive enormous support and cooperation from the Ateret Cohanim organizations, enabling the families and the numerous Yeshiva students to have a warm and vibrant community. The organizations' achievements are also due to the support of the general public which appreciates and identifies the Old City as the heart and soul of the Jewish people. Be our partners in rebuilding Jerusalem!